Recently my husband Andy and I traveled to Prague for three days to celebrate our anniversary. 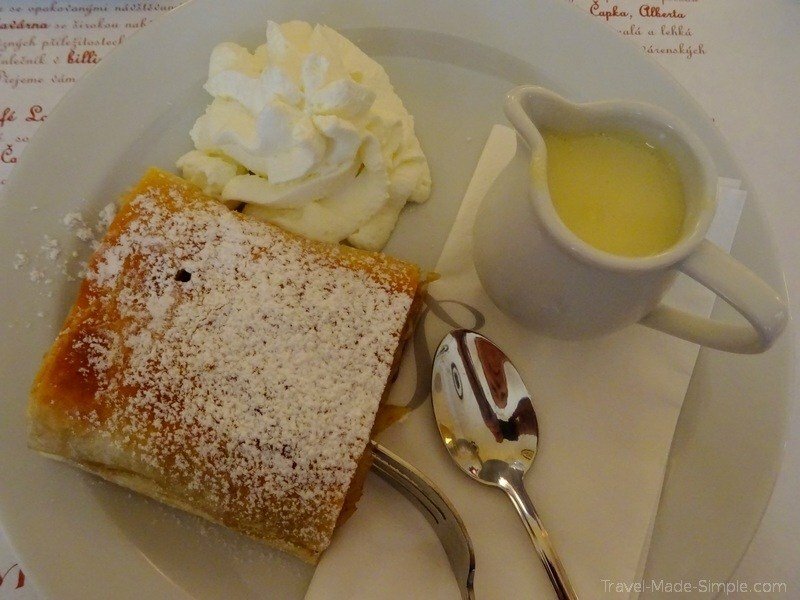 Since we’re both addicted to food tours, we knew we wanted to take a food tour with Eating Europe Food Tours. I’ve taken tours with this company before (London, Rome, and Amsterdam) so I was excited to try the one in Prague, too. 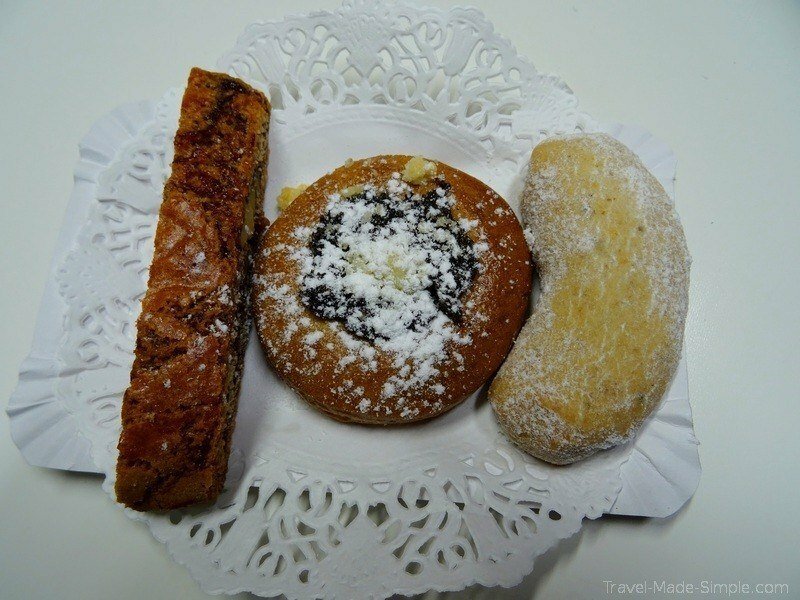 Food tours show you a lot about the culture of the city you’re visiting. They can’t easily be replicated, so having an expert tell us about the local food and provide us with lots of samples was definitely the way to go. We got to try food we would not have known about on our own. We never would have found these great places to eat in Prague without the tour. Tasting food I never knew about was one of my favorite parts of the tour. At one stop we had a traditional sauerkraut soup, which I know sounds a little strange, but it was actually quite tasty. I don’t think I would’ve ordered it if I saw it on a menu somewhere else, but being on the tour gave me the opportunity to try it. My other favorite part of being on this Prague food tour was the people we met. This always seems to be one of the most enjoyable parts of any tour. It’s fun interacting with other travelers, learning about them and trading travel tips. 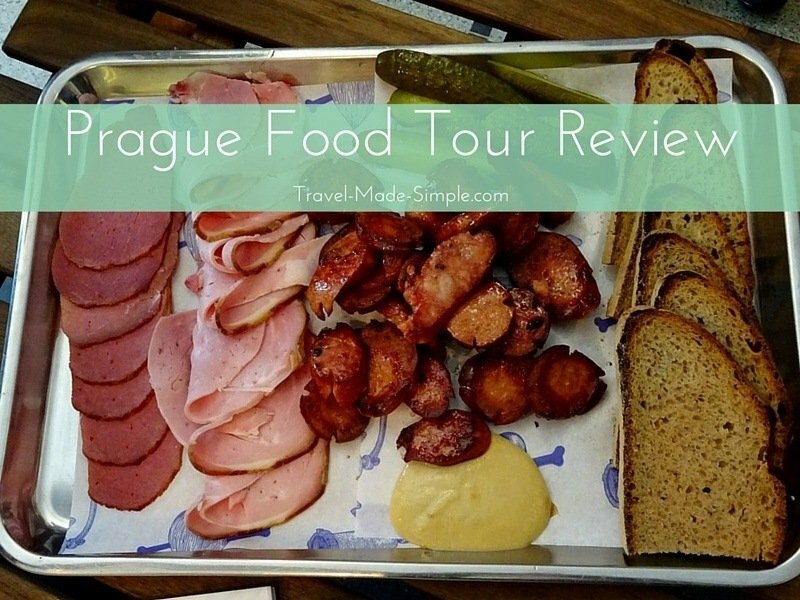 The Prague food tour had six different stops where we tried a wide variety of local food. We started at a gingerbread shop where we tried several different kinds of local treats and learned the stories behind them. 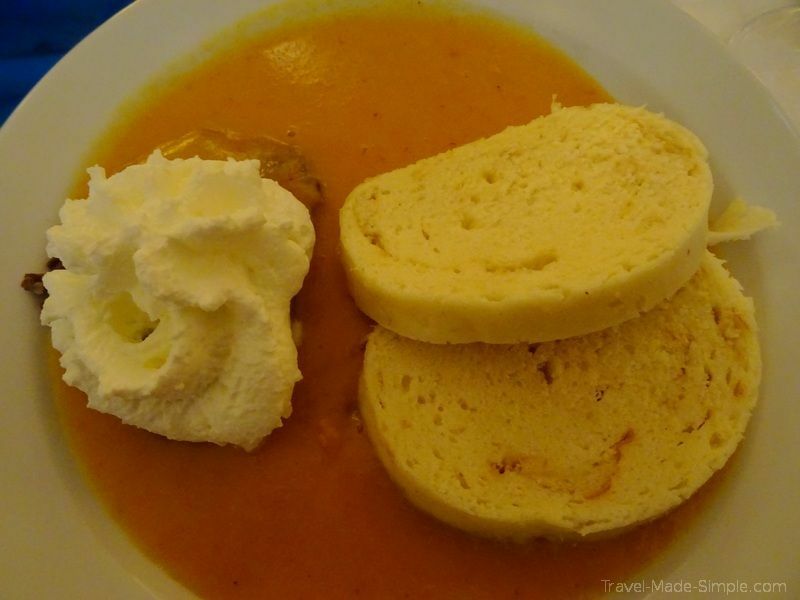 Book the Eating Europe Prague food tour by clicking here! 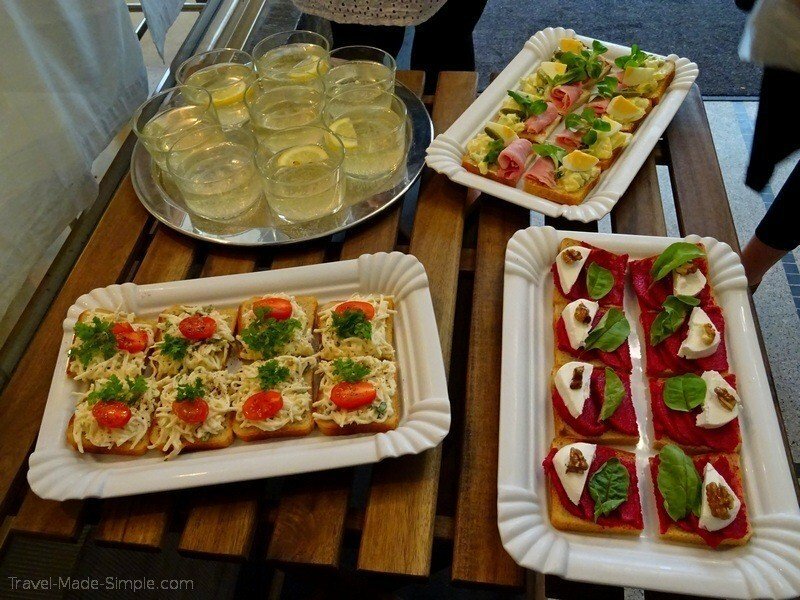 Next up we got to try Prague’s open-faced sandwiches. There were three different types: one with Prague ham, potato salad, and hard boiled egg; one with some sort of celery root salad and tomato; and one with beet root, cheese, and a walnut. They were quite tasty, and I’m surprised how much I actually liked the beet root and cheese one. Right across from where we ate the sandwiches was a well-known Prague deli. 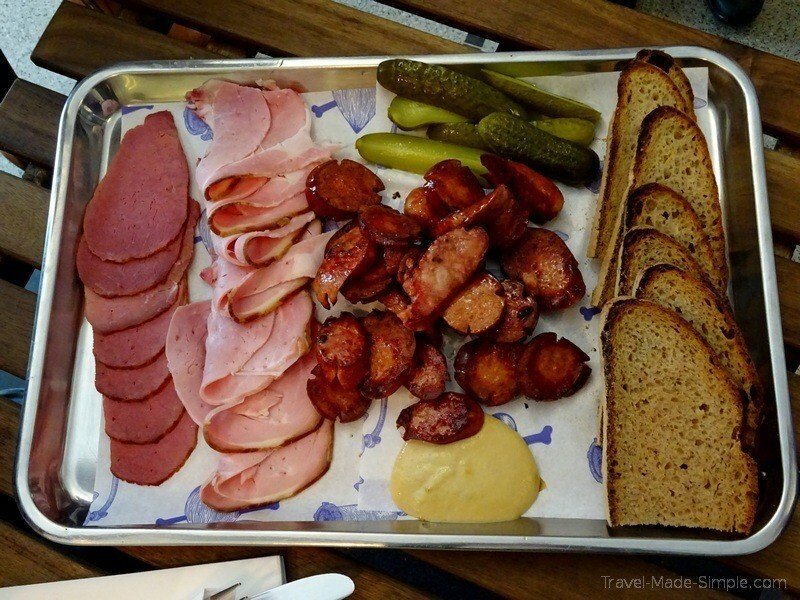 For our next tasting, they provided us with several kinds of meat, including Prague ham and two different types of sausages. I couldn’t get enough! After that we went for a little walk. I was already feeling stuffed, so a little exercise was good to try to make room for more food. We came to a medieval tower next that was apparently built because the nearby church had a bell constructed that turned out to be too big. 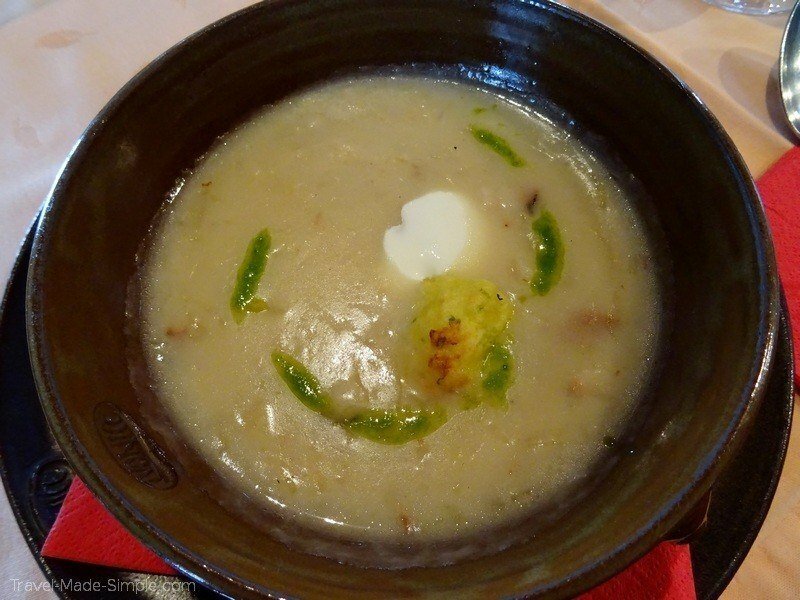 Here we ate traditional Bohemian sauerkraut soup. Sauerkraut soup is not something I expected to like, but it was delicious. A few blocks from there, our guide took us to a cafe with a big garden in the back. This is definitely not a place we would have known to seek out without the tour. While we waited for our table, our guide spotted a Czech celebrity, though I’ll be honest, none of us on the tour knew who he was. Once we got our table, we tasted a little dish of pork belly that was similar to paté. Andy wasn’t so crazy about it, and it wasn’t my favorite dish of the day, but it was still tasty. It was served with black current wine, which I had never heard of, but I loved the sweet flavor. We were all reaching the capacity of our stomachs when our guide informed us we still had one more stop. How was I possibly going to fit more food in my belly?! The last stop was a cafe where Franz Kafka, Albert Einstein, and several famous writers used to dine in the early 20th century. Here we were served braised beef with Czech dumplings with our choice of wine or beer (non-alcoholic drinks were of course on offer as well), followed by apple strudel. The tour runs every day of the week except Sundays, and they have a 12:30 and a 1:30 option. The website says the tour runs 4 hours, but I don’t think we left the last restaurant until about 5pm. (We were on the 12:30 tour.) You probably won’t want to plan too much after the tour anyway since you’ll be so full from all the good food. I was able to have a light salad for dinner around 9:30 that night. At the time, the tour cost 84 euros (about US$95) per adult, which includes six food stops. (Prices subject to change.) There was some walking but nothing strenuous or too far. The first and last stops were very centrally located. 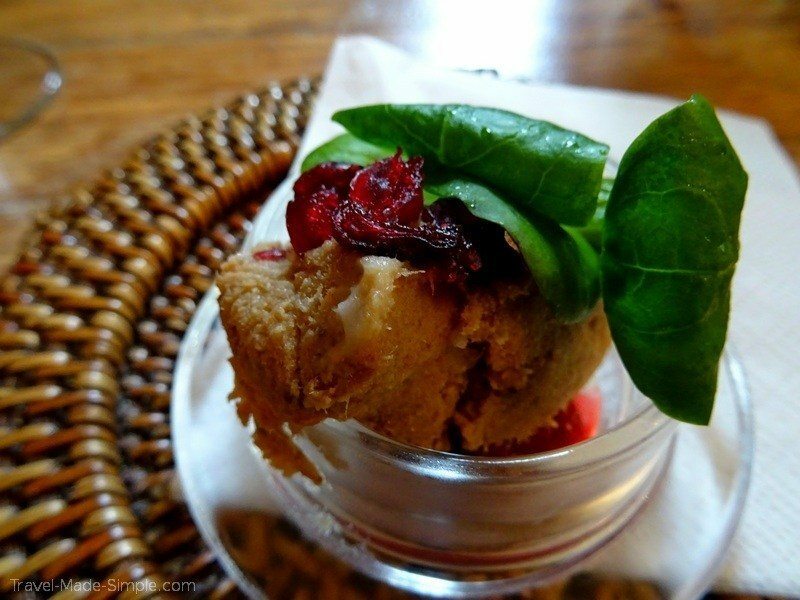 Be sure to read about how to prepare for a food tour here so you get the most out of your experience. Thank you to Eating Prague Food Tours for providing Andy and I with complimentary tours. All opinions and decisions to eat too much are our own. 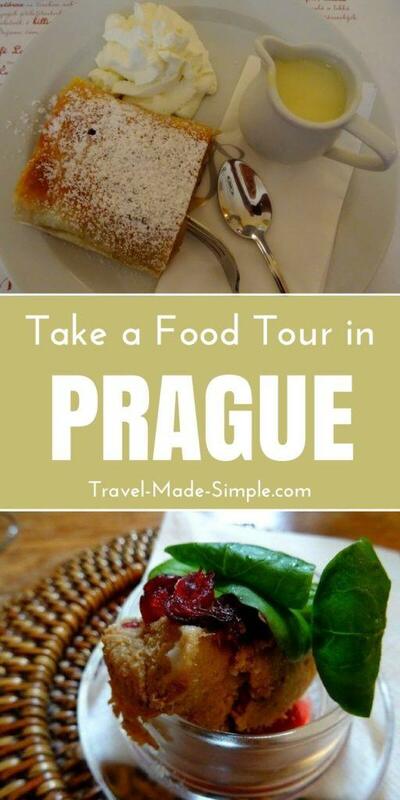 Book your Prague food tour here and dig in! What’s it like to take a Prague Craft Beer Tour?